It’s hard to believe, but it’s the first week of December already. There are exactly three weeks until Christmas. Although I’ve been behind in posting some weekly menus, I thought that now might be a good time to provide some meal inspiration as a way to get us through the next three weeks. 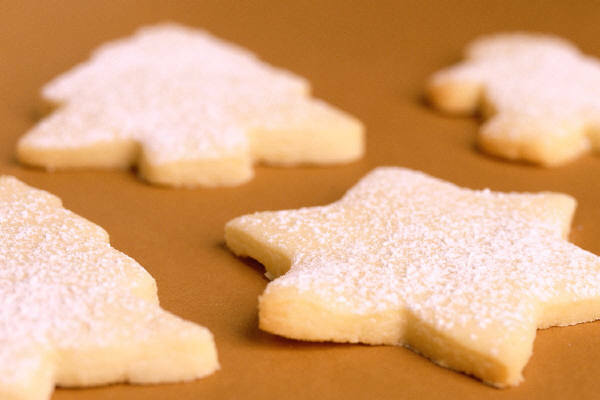 I also know that in the next two weeks or so, my posts will be filled with Christmas cookie recipes, and although we’d like to just eat those for dinner, most nights we can’t. This was one we hadn’t had in a while and we devoured it. Not a morsel left. Below are some meal options to get you through the next few weeks, with links included for every single one, not necessarily even in the order we’ve had them on our menu but more of a list of our past weeks’ “best of” meals that will let you peruse and choose what works for you in any given week. 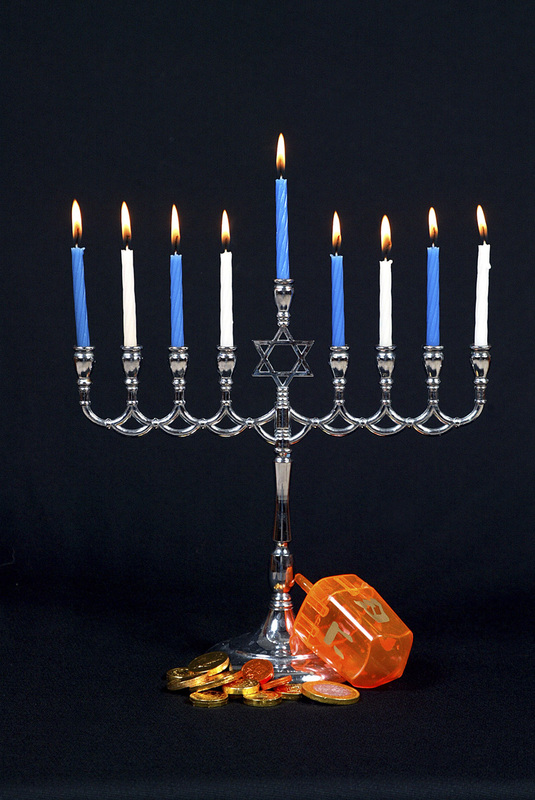 Hanukkah is coming! Here’s a complete meal and craft for you! We are not Jewish, but over the years we have been blessed to know many Jewish friends. When we were first married, we moved to New Jersey. Some of the first people we met there were our friends Max and Jamie, an Italian-Jewish-African American couple whose passion for good food and good times matched our own. They gave us the following brisket recipe in 1996 and we’ve been making it ever since and I think of them fondly every time we do. Accompanying the brisket recipe is a recipe for Latkes, a potato pancake, which we actually make frequently throughout the year because we love them so much. And of course, this post contains a coordinating craft to go along with it. It’s truly the whole package for you! Max and Jamie sent this recipe to us in 1998 after we had moved back to New England. It’s not perfectly measured out, a lot of winging it, but it’s worth it! I do not have a photograph of this meal because I have not made it since I started this blog in September but I promise that the next time we make it, I will take and post photos. 2) Put the brisket in the pot with the onion and brown it on both sides. 3) Add one can of water for each can of tomato sauce until the brisket is covered. The number of cans varies depending on the size of the can. Let the brisket cook in the liquid for one hour. 5) After the hour is up, take the brisket out of the pot and slice it. Either with or against the grain works fine, whatever you prefer. 6) Put the brisket back into the pot and cook for another half hour. Elizabeth actually brought this recipe home from second grade in 2010 and I enjoy using it, it’s an easy one, although we’ve used several others in the past. Heat half a cup of oil in a frying pan. Drop a tablespoonful of the potato mixture in the pan. Fry until the pancake is brown and crispy on the edges. Turn and fry on the other side. Drain the latkes on a paper towel. Some people enjoy sour cream with their potato pancakes, others enjoy applesauce with theirs. I am an applesauce girl all the way, and I’m including my super-simple homemade applesauce recipe below, but see which you prefer! Homemade applesauce makes a perfect topping for latkes! There are so many homemade applesauce recipes out there, and I’ve used a few of them, including a great crockpot recipe which makes a huge amount. But, for a meal like this, I’d use my usual go-to recipe that I of course, learned from my mom when we were growing up. Peel them, slice them, throw them in the pan, dump in the water and cinnamon stick. Wait til it boils, which happens quickly, and then simmer for 20 minutes. Mash them and eat! Caroline recently decided to do this craft with her sisters after she saw it in a Highlights magazine. I thought it was so cute and perfect to post with today’s recipes. It’s super easy and her sisters really enjoyed it. They also went online and looked up what real menorahs looked like, while doing their own version of them. Yup, I’m already thinking now about my holiday baking! Fall is here, and winter is coming. Last year I began posting daily around this time of year, in order to fit in all of my holiday-worthy and seasonal recipes. I also featured winter crafts and children’s book recommendations to go along with each of the recipes in December. This year I will be re-running some of those recipe posts as I see fit, in order to let my newer followers in on those yummy treats. Although I do try out new recipes once a week or so, when it comes to my holiday baking, I am steeped in tradition and I do not veer off that path very often. Therefore, I won’t have 20 new Christmas Cookie Tray recipes for you again this year, since I shared most all of my tray treats with you last year. So if you are a regular, long-time reader, you may see a few things that ring a bell as looking awfully familiar. I hope those re-runs will remind you that you always wanted to try that recipe last year and never got to, or that you loved it so much you can’t wait to make it again. In the meantime, if you’d like to look back at my holiday treats from last year right now, you can type in Pumpkin Palooza (Thanksgiving) or Your Tray or Mine? (Christmas), or even click on November and December 2011 to take a look! As always, if you have a recipe you’d like me to try, feel free to email it to me and I’ll add it to my list, which is super-long, of things I want to try one day! Thank you in advance for sharing your recipes with me and for being such a great, supportive blog audience! Categories chocolate chips, Chrismas Crafts, Christmas, Christmas Cookies, Christmas Stories, dessert, fall desserts, Hanukkah, Jennifer L. Cowart, Pumpkin Palooza, Recipes, Your Tray or Mine? Calling all Crock Pot Cooks! Shhh.....all's quiet on the appliance shelf in my closet. My crock pot is ready and waiting for your recipes! 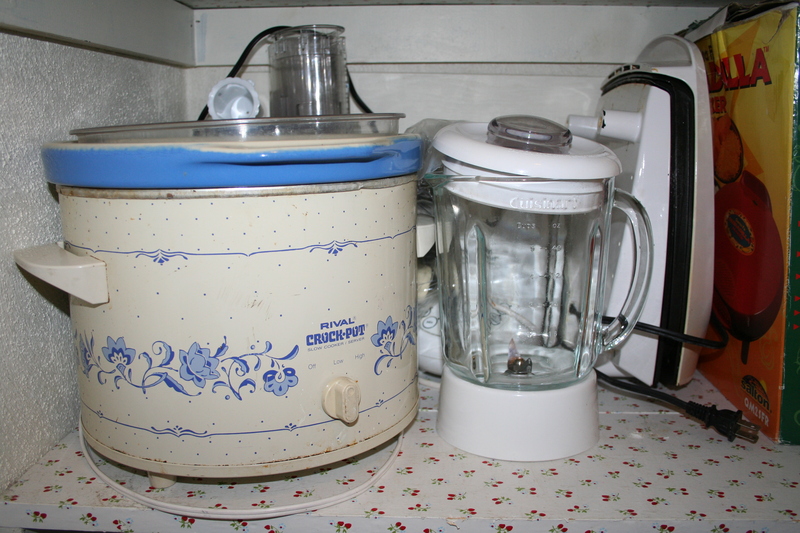 I have had a crock pot since I had my bridal shower in 1995. I love it, or should I say I love the IDEA of it. I love the IDEA of my house smelling fabulous all day long. I love the IDEA of dinner cooking without me while I’m at work. On occasion, those wonderful ideas actually come to fruition. For example, yesterday’s crock pot oatmeal, that’s a good one and in the winter we have that a few times a month for breakfast on a school day. I’ve made a crock pot applesauce but other than the fact that it cooked while I was gone, it’s faster to cook it on top of the stove. The Hanukkah brisket, always delicious when we make it…every once in a while. We make a great pulled pork in the crock pot for our birthday party feasts, and next week during Superbowl Recipe Week (gasp…. I told!!!!) you’ll see that Don makes a great crock pot chili. I have several crock pot cook books, but I just haven’t found “the” recipe or recipes for a regular night’s dinner, something I could do on a regular basis once or twice a month. First off, I hate the ones where you have to cook it all first on the stove and then just throw it all in to the crock pot to cook for 3 hours. That doesn’t seem all that helpful to me really. Second, I hate beef stew. Third, how many cream of mushroom soup recipes are there? Tons. And, I’m not knocking them because I happen to like cream of mushroom soup recipes (I posted one today, non-crock pot, but still…) And last….I hate my food to touch, so that presents a problem. Some foods are supposed to go together, others, not so much. Very tricky….ever see on my dinner plate photos just how far apart my foods are from each other? Uh huh. So. Where does that leave me? It leaves me asking you for your help. I’ve been providing you with tons of recipes as the days and weeks have gone by on this blog, and I’ve got TONS more that I haven’t even touched yet. But, they aren’t crock pot recipes. Where do you get your best recipes for the crock pot? What good ones have you tried and loved? Send them to me at jenniferlcowart@gmail.com and if I try them and like them, I’ll feature them on my blog in the future. Thanks for your help and good luck! !